FEC was approached by one of our clients who had experienced a turbine rotor failure due to stress corrosion cracking. Following the failure, a monitoring program for crack detection and growth was implemented. During the crack inspection program one rotor showed signs of cracking and the client required a risk assessment as a critical productivity phase was soon to commence. Completing a thorough review of operating and inspection history, it was soon determined that stress corrosion was the cause of cracking. This led to an investigation of the material toughness from literature, as limited information was available from the supplier. 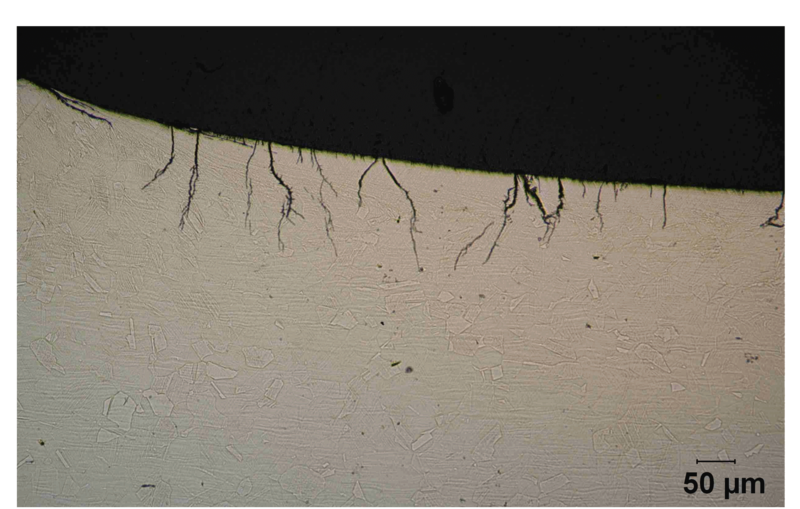 A simplified approach to determine the critical crack size was undertaken by applying BS7910. However, due to the stress field and geometry limitations in BS7910, the exact support case for the rotor was not available. A three dimensional FEA was undertaken to determine the stress field around the crack tip and to verify the directions of principal stress. The critical crack length was determined to be considerably greater than those cracks measured. The level of risk was sufficiently low and the client successfully continued operation until the next schedule maintenance. Advanced analysis was used to give our client less downtime and higher productivity.